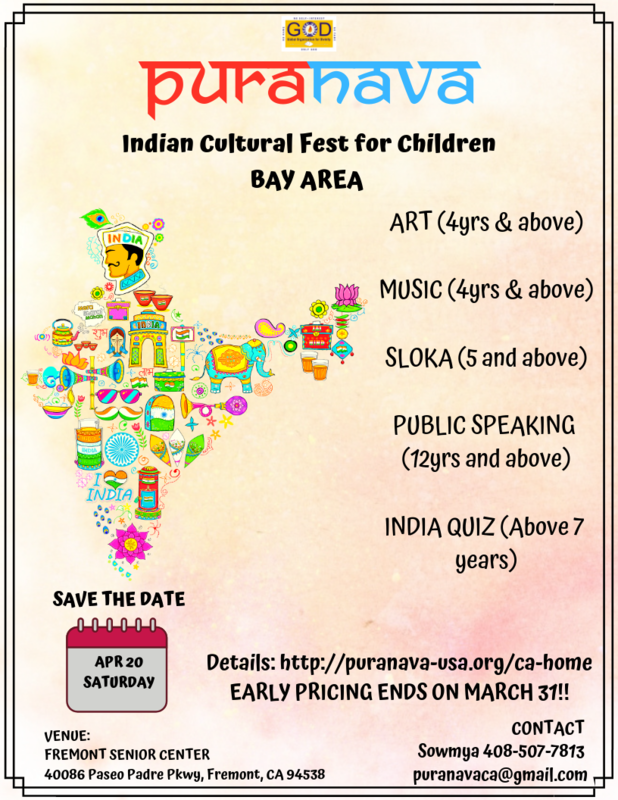 REGISTRATIONS ARE OPEN UNTIL APR 14! 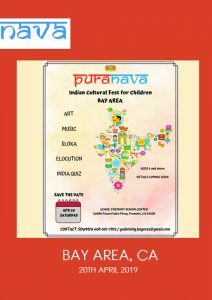 Global Organization for Divinity Bay Area is excited to present Puranava 2019 at Bay Area – a showcase event highlighting the greatness of India and its culture through various competitions including Art, Music, Sloka, Elocution and India Quiz. 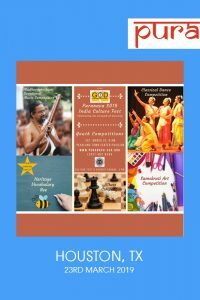 We welcome out-of-town visitors and participants for this event.